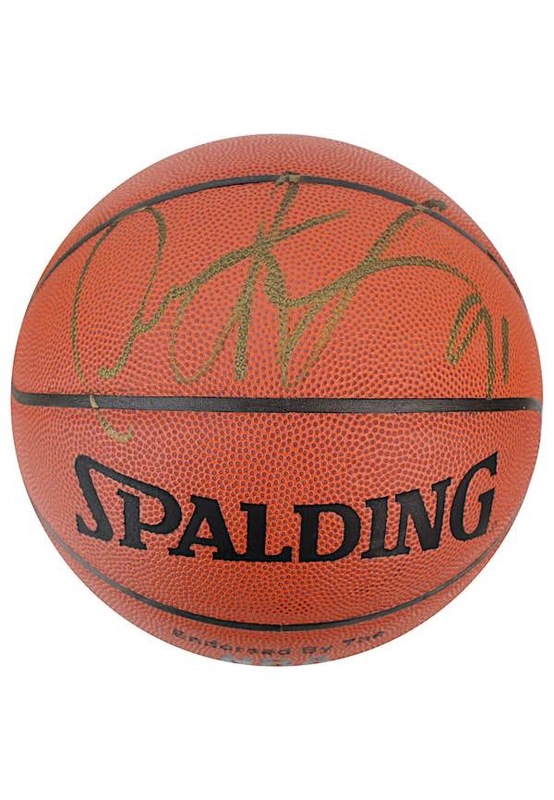 Spalding manufactured basketball single-signed by Dennis Rodman. Rodman signed on one panel in gold marker and in our opinion the signature rates an 8. Accompanied by a LOA from JSA.